In most great adventures there comes a point when the characters split up for a time. So like the Fellowship in The Lord of the Rings and Luke, Leia and Han in Star Wars, Miranda and I went our separate ways after the Pamir Highway. Still recuperating, Miranda decided to fly to Thailand early in search of the sun. 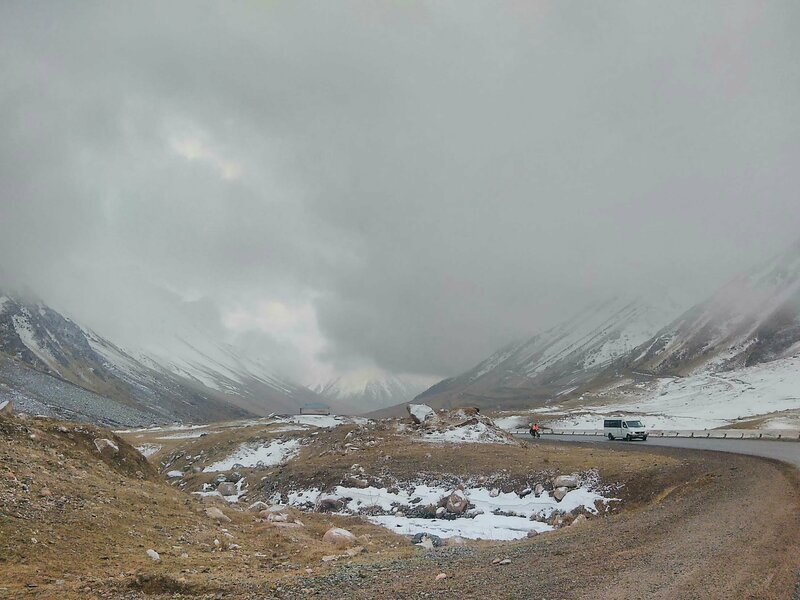 But I wasn’t done with Central Asia yet: between Osh, where the Pamir Highway ends, and Almaty in Kazakhstan, where I was to catch my flight to Thailand, lay high passes, snow storms, and death tunnels. To continue the Star Wars metaphor I know you’re all secretly enjoying, as Miranda headed off for the cantinas of Tatooine, I mounted my tauntaun and rode off into the icy wasteland of Hoth. By some miracle, I was adopted by two of the most experienced cycle tourists in the world. Chris Pountney, who is about to become the first person to ever circumnavigate the world entirely by bike and boat (buy his book here!) and his girlfriend Dea were rolling towards China, and I caught up with them on the road to Almaty. We scaled the hills of the Naryn valley in a relentless headwind and at the end of the second day, as we pitched our tents beside Toktogul lake, I admitted: “I think that was some of the hardest cycling I have ever done.” Chris, as naturally chipper as if we had just been blown at 70kph along the Rhine Eurovelo, asked why. And I thought, I bet he’s wondering how I’m going to handle the passes. He wasn’t, because Chris and Dea are among the most generously affirming people I have ever met. 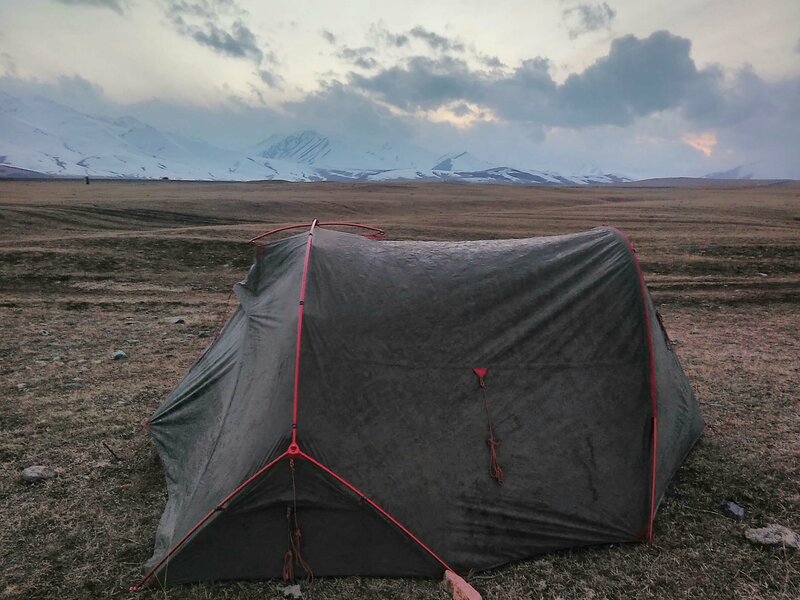 My fear of mountains – really, a fear I’ll fail to cycle over them – had not been overcome on the Pamir Highway, because we had to cut short our ride before the last great mountain to prevent Miranda’s head from blowing up. So as we started the slow climb up to the first pass, I was in psychological knots. There was no way I could do it. Not at the same pace as someone who has effectively ridden around the world, twice. 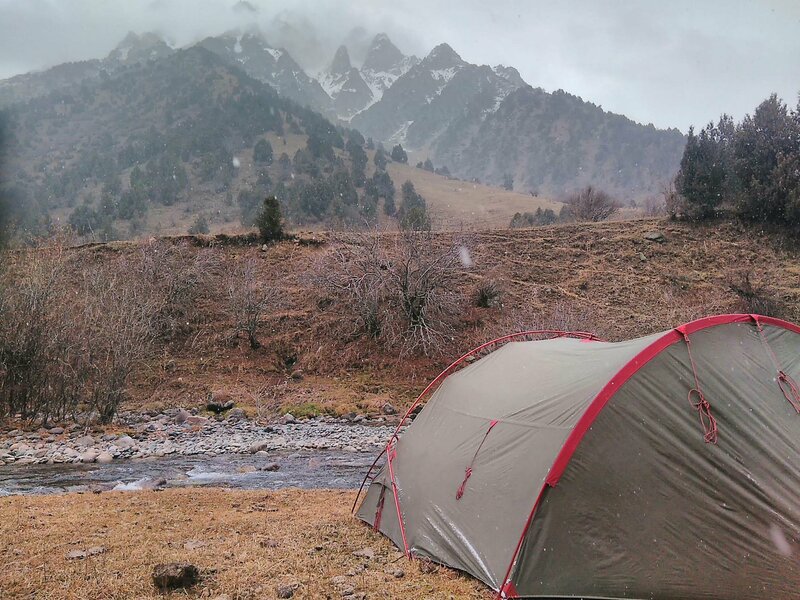 It was a cold camp 2000m up that night, and when I brought coffee to Chris and Dea’s tent in the morning I warned, “it’s supposed to snow.” Minutes later the blizzard hit, and we creaked up the first 5km of the climb like snowswept Scotts of the Antarctic. 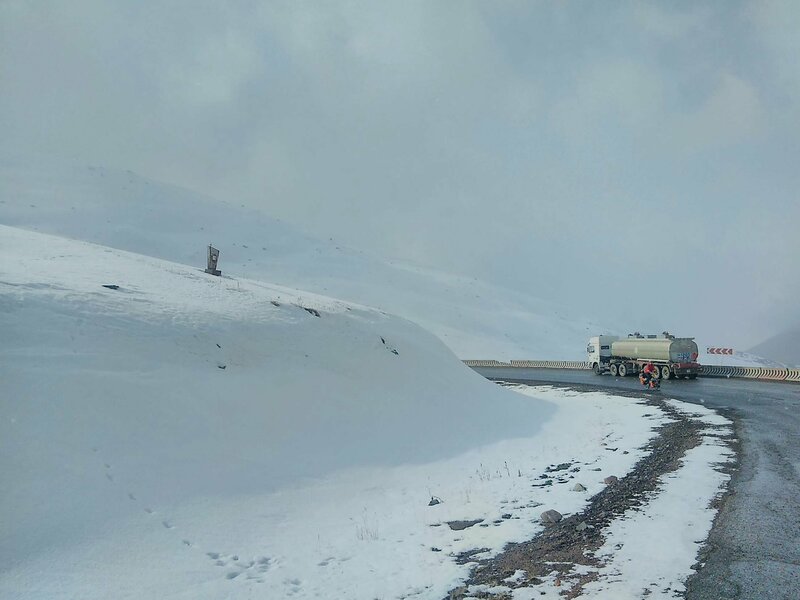 By the time the altitude was forcing us to stop every few hundred metres to catch our breath, we were surrounded by deep snowdrifts. The mountain range below us was veiled in the clouds we had climbed above. A turn later and the 3175m pass was in sight. 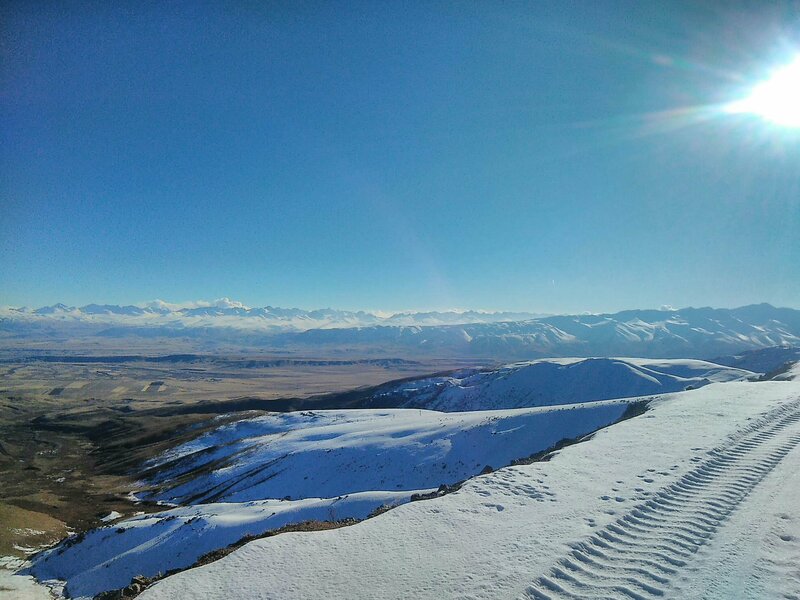 It was at the top of a steep, short, snow-fringed rise, and Dea must have seen the last dying embers of self-doubt flare up in my eyes because she said: “let’s do this” and we stood on the pedals and raced to the top. 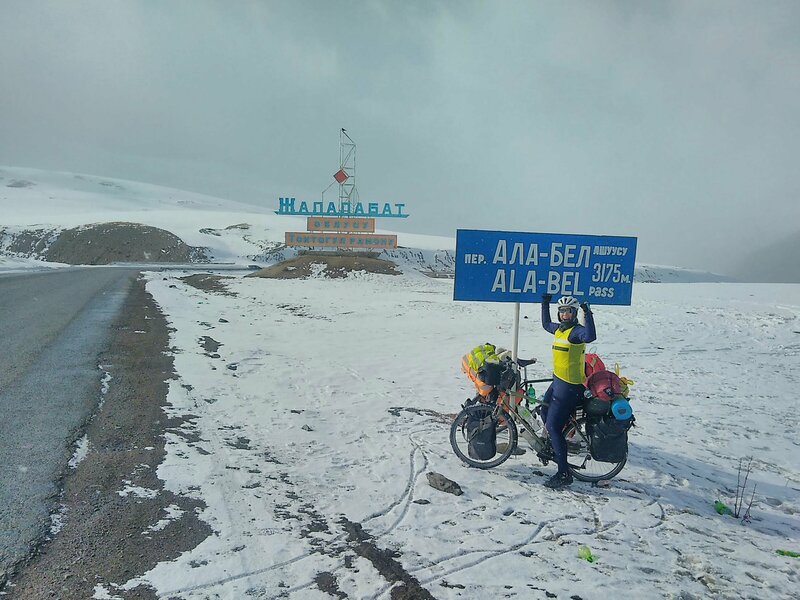 Tonight would be even colder – around -20C – because we planned to camp at the 3600m pass and ride through the long, dangerous tunnel beneath it, where a number of cyclists have died when traffic jams boosted carbon monoxide levels in the poorly-ventilated tunnel to a lethal level, in a pre-dawn lull. Anxiety about that was corroding the confidence I had gained on the first pass when I looked up and uttered a phrase I won’t reproduce here because I know Granny is still reading. In front of me, like a Bosch painting, all 13km of the climb snaked in sharp hairpins up the mountain’s face, occasionally disappearing behind lower peaks and then reappearing at an even sharper gradient. Lorries edged up and down the ice in slow motion. I prepared for failure, and promised myself I could hitch when Chris and Dea, who I’d left behind after I enthusiastically threw everything I had at the end of the plateau, caught up with me. We camped at -20C that night, mercifully sheltered from the windchill inside a metal silo, and I almost didn’t register the gentle snowshower that fell from the roof of the tent – my frozen breath – when Chris and Dea woke me with a surprisingly rousing rendition of One Direction’s What Makes You Beautiful. 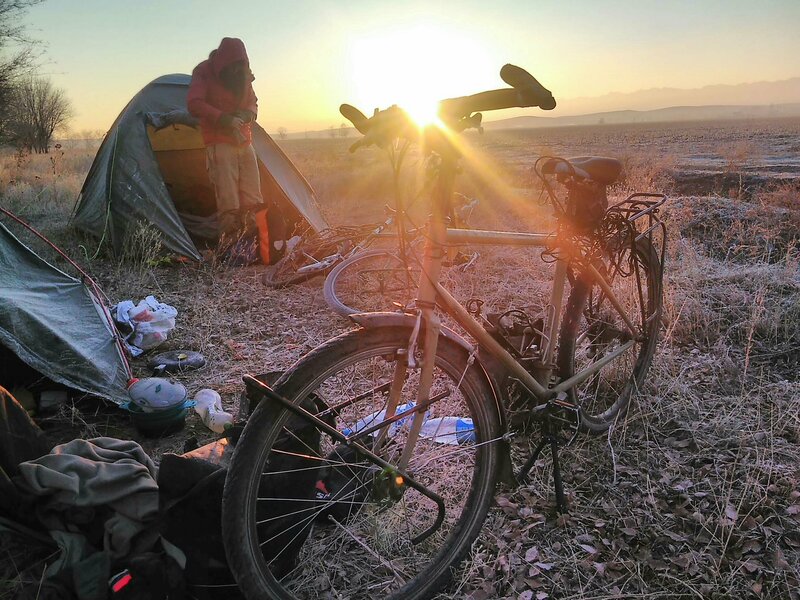 The tunnel was empty, and we descended into the dawn, losing 2000m of altitude in long stretches of shadow until we finally emerged onto the Steppe and into sunlight then ploughed a determined 130km more to the Kyrgyzstan capital Bishkek to recuperate with takeaway pizza. Ensconced in an enormous double duvet that night I felt like I’d discovered a latent superpower. Every single day of the ride I had catapulted myself at my physical limit, and every single day I had ignored the voice that told me to give up until my altitude or distance gain revealed it for the ridiculous liar it was. I thought: Wow. I can do anything. But as it turned out, none of us made the top that day. The wind hit 50kph and all three of us struggled to even walk the bikes along the straight. The sun set, and in the howling gale we camped in the meagre shelter of a windswept spinney. By morning all of our water had frozen; my tent was coated in ice; and with inhuman effort we forced ourselves back into the wind. In the end, it took Leo out: it blew one of his gloves, resting on a pannier, into his rear derailleur, snagged in the jockey wheel and snapped the arm. We waved him off in the back of a lorry, and I wondered if I had time to surreptitiously introduce my drivetrain to a sock. 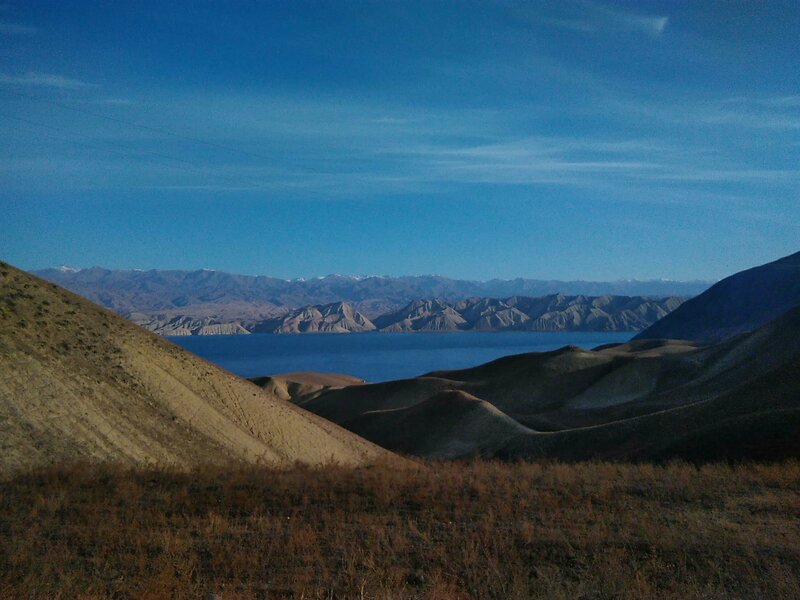 So we rolled into Almaty side by side, and it was, for me, the end of Central Asia. Indeed, it was the end of an unbroken line that connected London to Europe; my housemates and our cat and the drizzly first day across Essex and over the sea to the Danube River and Nicolas and our nights eating watermelon in Hungarian forests; it connected Turkish Delight and the Black Sea ferry; haunted houses in Georgia and the Caspian Sea; the grandeur of Samarkand and the Pamir Mountains. China lay ahead, but it was time for me to pick up the path I had sketched out in London – derailed by my inability to secure an Iranian visa – by flying to Thailand. There was, among my friends and family, a sense of palpable relief as I switched the ghastly cold and snow leopards for the beaches and backpackers of South East Asia. But I was gloomy. Had I really learned to wrestle down the snakes and dragons of my own self-doubt just to cruise along flat promenades between bowls of Pho? Then, one afternoon, in the wonderful European Backpackers Hostel in Almaty, I started to research a route. I sat bolt upright on the living room sofa and said out loud: “I’m going to ride the Ho Chi Minh Trail through Laos and Vietnam.” “Isn’t that the most dangerous road in the world?” Asked Jonathan, the hostel’s other Brit. I made eye contact with Markus, an intrepid Finn and the hostel’s resident experienced cyclist, who was about to brave the Chinese winter. I knew and he knew. It wasn’t over yet. You are amazing, I love you, you’re incredible and powerful, but my god, you are mad. There is a beautiful canyon about 200km east of Almaty that you should definitely visit on your way to China. Don’t give up and start flying! Amazing! May the force … and all of that! Well done great blog – can’t believe Chris and Dea are going back to China after tje tales of woe in their blog .